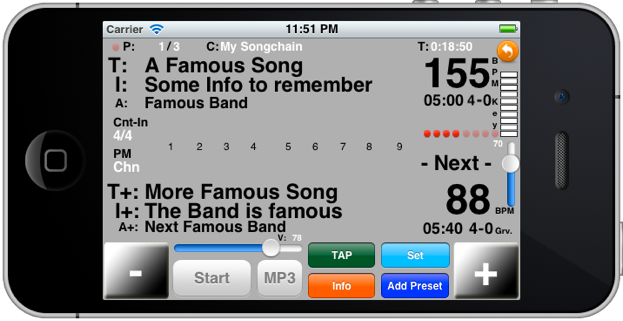 Are you a Musician who is playing many gigs in one or more ensembles and need to keep track of the setlist, know the accurate timing, keep an eye on the lyrics and have a midi setup that requires program changes on a song to song basis? There is a Lite Version with limited functionality to check the App out! !NEW! --- DrumSetlist Manager HD for iPad --- !NEW! Also here a Lite Version is available ... check it out! 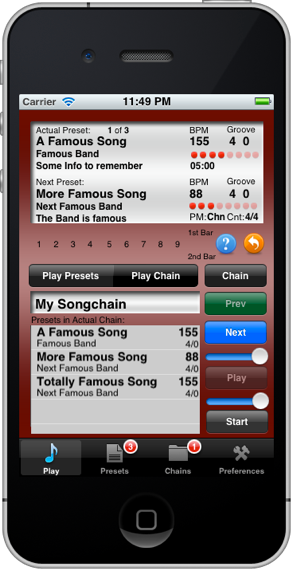 Drumsetlist Manager supports Air-turn - Hands free Preset switching !